It's been awhile! 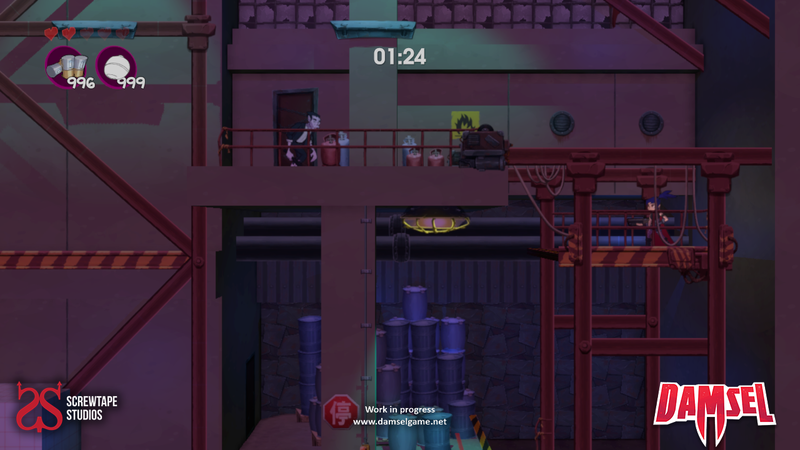 Screwtape Studios has been fervently developing new levels, animating our final enemies and new mission items and adding new levels and level art. On top of development we have been preparing ourselves for our Greenlight Campaign (lots of marketing materials created) and finally showing Damsel for the first time at the end of February. 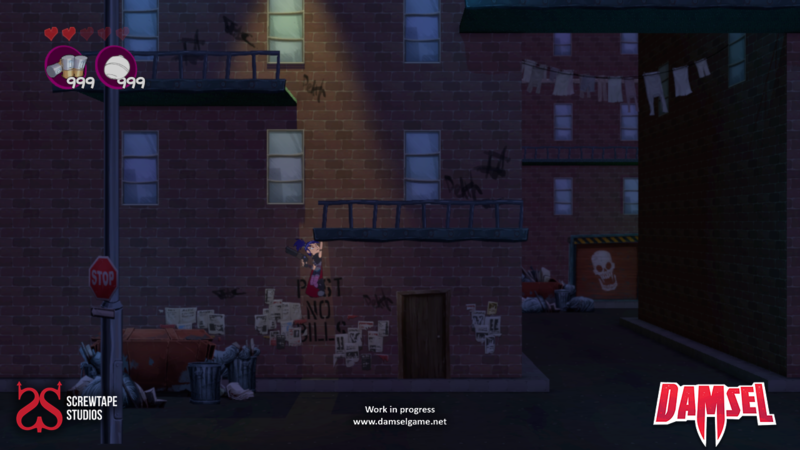 Damsels Missions system has been completed. 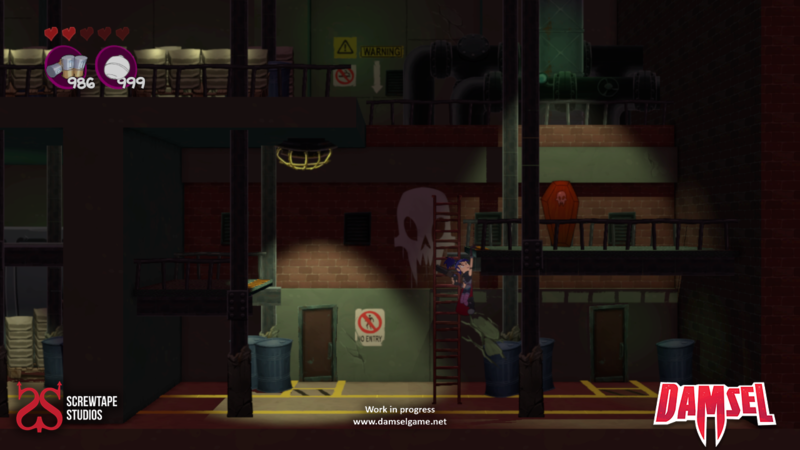 Our fantastic designer has been creating our unique locations and missions that take Damsel around the world, collecting intelligence to help find captured humans and destroy as many vampires as you can. New locations will appear once you have completed the last mission. Find Intel - As a secret agent there is nothing more important than finding new intel. 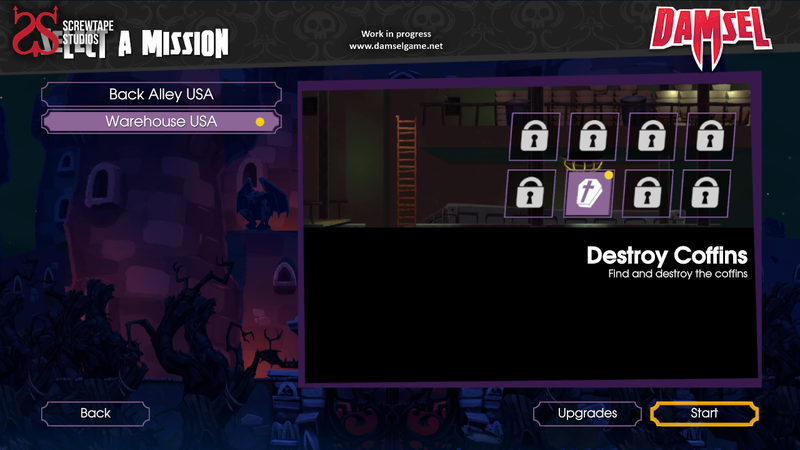 It unlocks new missions and locations. Destroy Coffins - You need to destroy the vampire threat, the easiest way, is to get them while they sleep! Eliminate Enemies - Not all Vampires are asleep sometimes they are awake and kicking. Find them and take them out. And finally we are getting ready to Start our Greenlight Campaign. Our artists have been moved to marketing assets (lucky them). We have been creating a new trailer and creating other assets for the page. We have made a great Greenlight Trailer and will be releasing it with our campaign. We will post again when we have launched our Greenlight campaign. So what next? 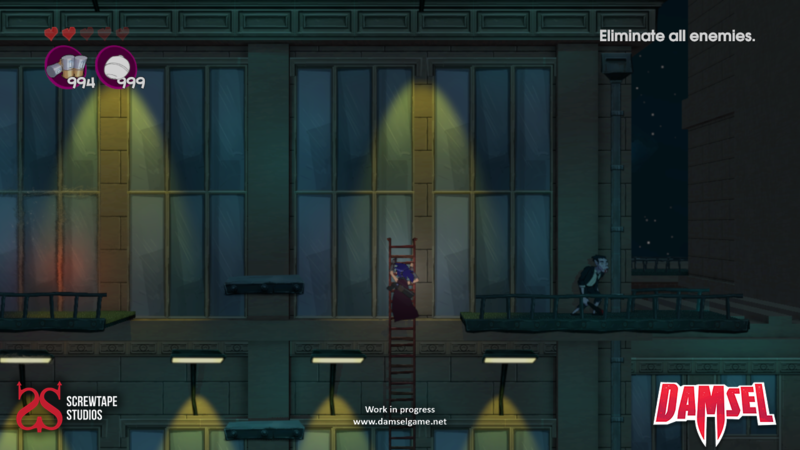 More Mission and Levels, finalise animations and art and adding the upgrade system. Oh and getting ready to show for the first time on the 27th February at GX in Sydney.